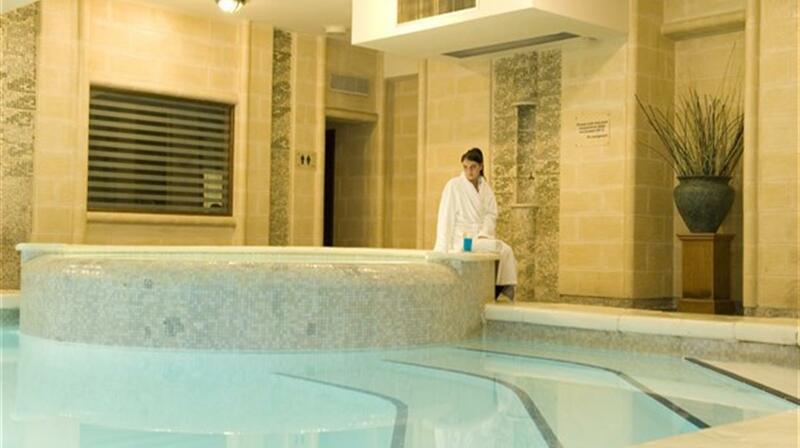 The Santana Hotel in Malta is situated within the heart of Qawra. The lively Bugibba seafront is a few minutes’ walk away and features a variety of kiosks, cafes and shops. Packed with convenient amenities, the contemporary hotel boasts multiple dining options and a spa & wellness facilities for you and your family. The numerous flat rock platforms and sandy stretch along the seafront are perfect for sunbathing and safe swimming for children. The bus also runs close to the hotel, which makes it easy to explore Valletta or the popular sandy beaches of Mellieha Bay and Golden Bay. The hotel is perfectly placed so you can soak up the vitamin D early in the morning and watch the world pass you by from the comfort of your chair. When night falls, the waterside restaurants and music bars come to life. If you feel lucky, try the casino or bingo hall, located 5 minutes away from the hotel, and win big. If you find yourself wanting more, Malta’s nightlife shrine of St Julian’s is just a 30 minute bus ride away. The Santana Hotel in Qawra has a vast array of spacious, comfortable rooms and suites which are decorated in warm Mediterranean colours. The original design of these rooms helps add to their natural ambience, with guests free to choose from the standard room, comfort room and the studio suites. Each room type has a balcony or terrace with excellent views of the bustling world outside. As far as dining options are concerned, the MOIRÉ provides buffet breakfast, buffet lunch and buffet dinner; an à la carte menu is also available. The hotel's Zazen Garden offers guests a combination of a tranquil and inviting ambience, both by day and night, to enjoy great food, a vast selection of beverages and entertainment. The Café CASTAGNA offers light snacks and meals and is perfect for an evening with the family. The rooftop pool and sun terrace is a great spot for stretching out and enjoying a cool dip and a drink from the pool bar (summer only.) The Wellness Club is the ideal relaxation spot with a whirlpool hydrotherapy bath, sauna and massage & beauty treatment rooms are available. Guests are just a step away from getting rid of all their stress. The Santana Hotel, Malta is the perfect place for you and your family to make the best memories on your perfect holiday. In January 2018, The Santana Hotel completed a full front facelift and rennovated 87 of their standard rooms. The renovated rooms include new flooring and furniture enhancing guests comfort and experience during their stay whilst the front of the hotel saw new front entrance doors as well as new aluminium doors and balcony railings on all front facing rooms. Decorated in warm Mediterranean colours, the vast majority of rooms are Standard rooms with twin beds; however they can accommodate a maximum of 3 people and now include a kettle and crockery. Family rooms are more spacious and have a seating area with a sofa bed, they accommodate up to 4 persons and include tea & coffee facilities. Studio Suites are uniquely defined by their original design and luxurious finish. A traditional Maltese stone archway is the main design feature and divides the suite into two areas – the sleeping area and the dining/ living area. For additional comfort the bedroom offers double wardrobe space. The suites are designed to provide some privacy from the living area should there be more than 2 people staying in them. The dining/ living area includes a fully equipped kitchenette including ceramic hob, oven/ microwave, dining table seating 4 people and a sofa which opens into a double bed. All room types have a balcony or terrace. Complimentary Wi-Fi in all rooms and public areas. A courtesy PC with access to the internet has also been set up in the hotel lobby and is available, free of charge, to all guests. A €50 refundable cash deposit or €50 pre-authorisation on credit card is required on arrival. At check in, once the deposit has been paid, guests will receive towel tokens for pool towels according to the number of guests, the TV remote control and also the safe key which is now free of charge. The deposit will be refunded during check out when the guests return the three items mentioned above. Disabled Facilities: Ramp access throughout hotel, although rooftop pool and sun terrace is not accessible for clients confined to a wheelchair. Well placed in Qawra with the lively Bugibba seafront a few minutes walk away. If you are looking for a fun packed holiday, Bugibba serves up. Its buzzy sea front is packed, with a variety of kiosks, cafes and shops. A sublime location to start the day soaking up the sun or simply watching the world go by. When the sun sets there is an abundance of waterside restaurants and lively music bars, if you feel lucky try the casino or bingo hall. Malta’s nightlife shrine of St Julian’s is just a 30 minute bus ride away. The many flat rocks platforms and sandy stretch along the seafront are brilliant for sunbathing and safe swimming. The bus terminus close to the hotel makes it is easy to explore, visit Valletta or the popular sandy beaches of Mellieha Bay and Golden Bay. Free public parking is available outside the hotel. Food & beverage outlets range from the main restaurant – the MOIRÉ – which serves buffet breakfast, buffet lunch and buffet dinner to the new Zazen Garden that offers platters and a snack menu in the evenings. Lighter meals and snacks are served at the Café CASTAGNA which is open daily from 08:00hrs to 01:00hrs. There is also a POOL bar open during the summer months. Half Board Plus: The Half Board Plus option provides the same breakfast and evening dining options as the standard half board but benefits from unlimited drinks during dinner (local wine, soft drinks, house beer, mineral water and juices). All Inclusive Winter (November - April): Full buffet breakfast and buffet dinner at the Moire restaurant, lunch which may either be served at the Moire restaurant or at La Castagna eatery, house-wine, local spirits, soft drinks, local beers, water (by the glass,) tea & coffee at any of the bars between 11:00hrs and 23:00hrs. Sandwiches at Castagna eatery between 08:00hrs and 21:00hrs local ice-cream from Castagna eatery between 11:00hrs and 23:00hrs, house-wine, soft drinks, water (by the glass) local beer, tea & coffee with lunch & dinner, free Wi-Fi hotspot in one of the hotel’s public areas plus tea and coffee making facilities in room. Full buffet breakfast: 07:30hrs – 10:00hrs served in Moire restaurant. Snacks: 08:00hrs till 21:00hrs served at La Castagna café. • Buffet lunch at Moire restaurant. • La Castagna café – choice of starter, main course, dessert from the menu. • Buffet dinner at the Moire restaurant. 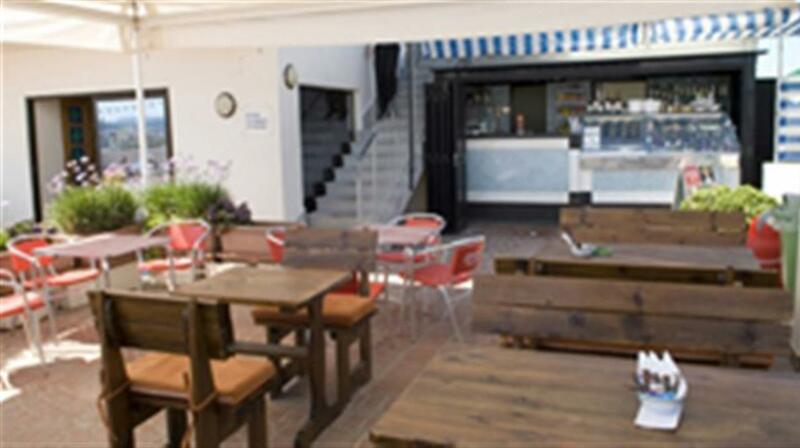 • Summer BBQ’s held on the roof terrace once weekly (seasonal and weather permitting.) A supplement applies for all guests on All Inclusive. All Inclusive drinks are not included. Beverages include selected house wines, selected local spirits, selected cocktails, house beer, soft drinks, juice, tea and coffee including cappuccino & espresso coffee. Tea, Coffee and cake served at Café Castagna. Free Wi-Fi in all hotel public areas and rooms. Free tea & coffee facilities in the room. Please note: Guests will be required to show room key card and only one serving/ drink will be provided per person per order. All beverages will be served in cups or glasses with the exception of mineral water. Plastic cups will be issued at the pool bar. Services are not transferable or exchangeable and no credit is given for any meals/ beverages/ services not consumed. The hotel reserves the right to change the venue with advance notice to guests. Children under 16 will not be served with alcoholic drinks. Some facilities may incur a local charge. Empty mini bars are free of charge in all rooms; these can be stocked upon request. In superior rooms there is a small fridge, also free of charge. Kitchettes are only available in the suites. Outdoor facilities may, at times, be closed in winter. The outdoor pool and pool bar are only open in summer. The indoor pool is heated in winter and closed for a few days in the summer months for maintenance. "If you looking for reasonably quiet accommodation in Qawra the Santana is fine. Its location is good to the local bus service and easy for strolling around the local area"
"We did ask for both of our rooms to be on the same floor sadly this did not happen. Love the hotel everything pleases us. Stay in a suite if you can lots of room and good kitchen"
" I have stayed at the Santana many times and have always thought it the best hotel in the area. That view has not changed. Clean with friendly efficient staff. Since my last visit the reception area has been refurbished making it brighter and airier. Good choice of well prepared meals. Still my favourite Qawra hotel. Recommendations Excellent complimentary transfers both ways provided by Chevron. " "Great hotel centrally located close to bus station. Bars and restaurants right on the doorstep. Friendly staff. Great roof top pool. Quiet and restful despite being busy. Outstanding transfers from airport to hotel and return. Great value with Chevron. Would not use any other agent when traveling to Malta. " "Staff all friendly nothing too much trouble for them. Clean room ample breakfast. Always happy booking with Chevron have been doing so for several times in the past. Easy to deal with." "We know this hotel well. Staff in all departments from housekeeping to management lovely friendly and helpful they work very hard for their guests." 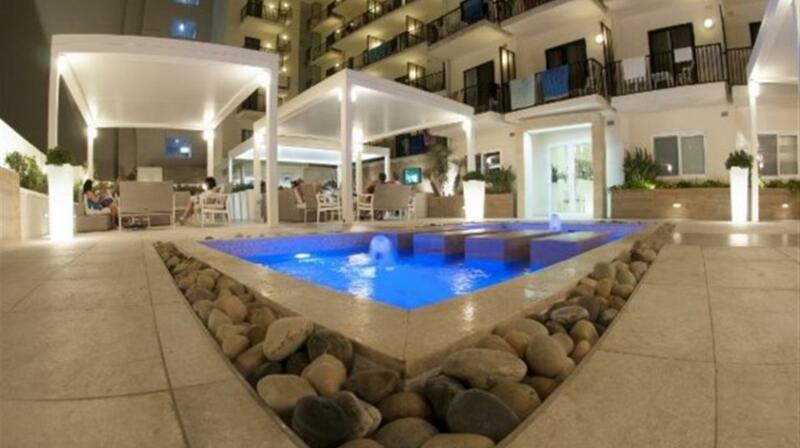 "Hotel was expected as we have been to the Santana Hotel previously and thoroughly enjoyed our time there. Nothing too much trouble for the staff who are very friendly. As we enjoyed a ten week stay many of the guests whom we met last year were also there again. Very clean hotel with good food. Our holiday was booked in February 2016 flying in December 2016. All correspondence was delivered within two weeks of flying. We had nothing to print off as everything was waiting at the Check-In Desk on arrival. Airport transport was waiting for us on landing in Malta. " "Great hotel and staff. Perfectly placed to get buses and see the island. The hotel food was a great variety with at least four main courses each night including a fish of the day and a roast meat. The fish were not just salmon but a genuine variation all cooked to perfection. Brilliant value thank you." "This is the second time I have stayed at the Santana Hotel and it was excellent the staff were polite and friendly the amenities and food good. " "Very good. The staff were very helpful especially as my wife is a coeliac with bread and desserts being readily available. It is a safe place to visit where you are not hounded by sales people and as one would say ""not watching your back all the time"". It is easy to get around the Island by bus"
"Chevron service excellent booked with them for last 12 years never had any problems. Hotel Santana good values friendly staff food good use this hotel most years. 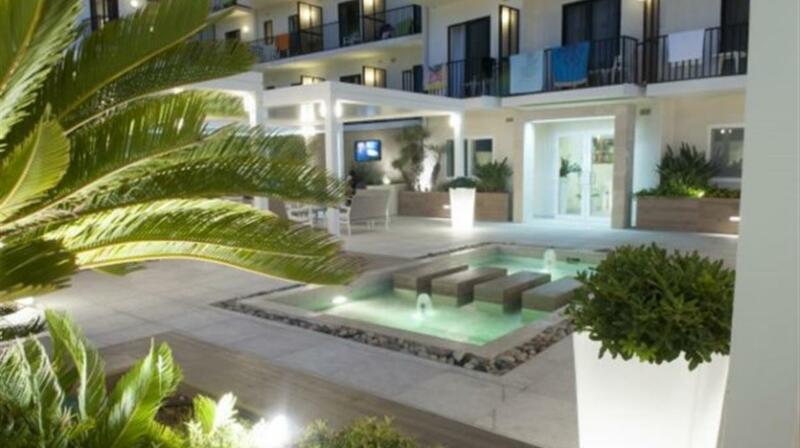 Next booked holiday with this hotel 10 days November. Looking forward going back. Booked in late in evening always have bottle water and snack left in room. " "When I book through Chevron which has been many times I have always found them most helpful and polite. I go to the Santana hotel every time I visit Malta and all the staff are very friendly and polite." "Brilliant I went on holiday on my own and couldn't fault Chevron or hotel. Everyone one was lovely polite friendly and receptionists helped me with buses and places to go. All the staff were polite friendly and made my stay great." 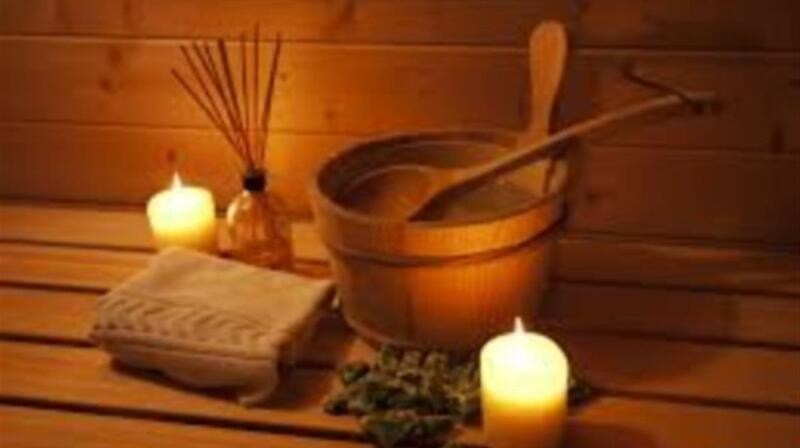 "Easy to book always get the best deals of the day very friendly staff. Been going to the Santana now 2 or 3 times a year we love it there all staff very helpful and friendly." "Chevron is the only provider I will use for holidays to Malta. The service you get from them is excellent. I have been staying at the Santana Hotel for over 8 years now and I am very happy with is hotel. As the location of this hotel is central and near all the amenities that I require I.E. the bus station and various restaurants and bars and the sea! " "The hotel is in a very good location with a two minute walk to the bus terminal .The staff at the Santana hotel are very friendly and helpful it as good sized rooms and cleaned daily The food in the hotel was faultless with a good selection of food for all." "The hotel is in a very central position to access the bus station & promenade. Breakfast was fruit fry cereal & dinner menus varied every day with choice of salads 3 main meals & choice of desserts. Rooms were cleaned daily and the staff were friendly. Parts of the hotel would need updating but overall it is the pick of the hotels within the area. I would have no hesitation booking Chevron again as this is the 2nd time with the company and it is good to know you have strong support if required.."
"The Santana Hotel is well situated in a central position. The hotel is clean friendly staff and a good choice of menu. Well worth a visit." "Have used Chevron for over 10 years and always had excellent service. Brilliant Hotel very helpful and friendly staff would recommend. I would always use Chevron as very helpful." 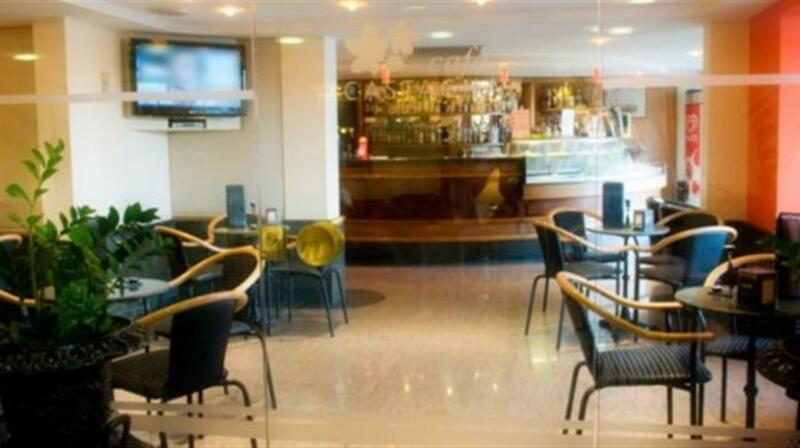 "Very good hotel very central the hotel has excellent food bar and staff. The superior rooms are as they say superior and I cannot really pick fault but if I had to I would recommend a microwave in the dining room. Go to the bus station and get a 6.50 euro bus pass and travel the island. Ten out of ten for the service and price I would recommend Chevron to everyone." "First class service. All went to plan my wife's disabilities well catered for all the way. 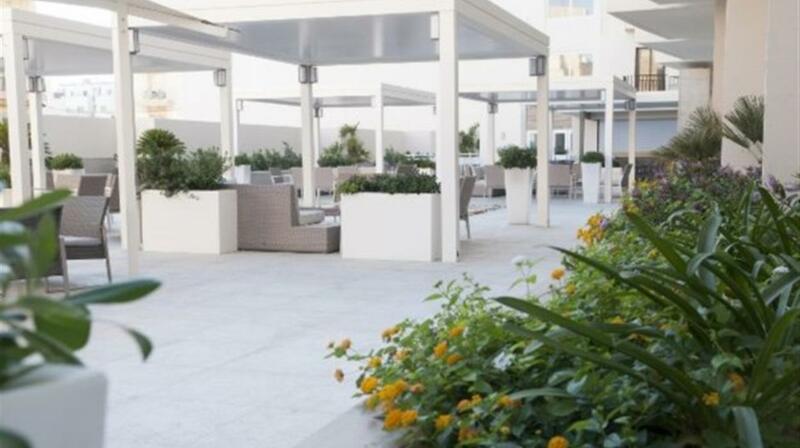 Air Malta and Hotel Santana well recommended care and consideration at all times. Will go again. " "We had an issue with the bed in the hotel room & it was sorted out when my wife contacted the duty manager. The food was good at breakfast & evening meal plenty of selection to choose from. We had a front facing superior room and was great to sit in the evening & watch the word go by. Our rep visited us the day after we arrived and was very helpful. We will be going next year again.... I would have no hesitation in using Chevron again. " "THE SANTANA IS SITUATED IN A GOOD POSITION TO ALL AMENITIES WITH VERY HELPFUL MANAGMENT AND STAFF - THE REP KARMELA DOES A EXCELLENT JOB. " "Thank you Chevron for making our holiday to Malta such a stressfree and lovely one. Everything arrived on time and booking us online with Ryanair saved us hassle. When we upgraded the room at the Santana hotel it was fuss free and easy for us. And the hotel Santana was great ...accessible super choice of food friendly staff. And the location being a few minutes from the wonderful bus station where buses took us all over the island so cheaply meant we were not exhausted walking back after a long busy day. We really enjoyed our three weeks in April when Malta was covered in wild flowers. Thank you Chevron!" "Stayed in the superior rooms this time well worth the extra expense at this time of year as you can sit on your balcony in the sun for most of the day. The hotel itself is friendly with the staff are helpful without being obtrusive. Malta friendly people and a relaxing atmosphere." "Room large and clean staff very friendly. Hotel in good location for bars and shops would stay there again. Buy a 7 day bus pass a very cheap way to travel around the island. Airport transfers excellent. Definitely go with Chevron again." "My third visit in the past year to the Santana did not disappoint. Check in very quick and as I was a repeat guest they had already completed the paperwork for me. For previous visits I've always had rooms on the fourth floor at the front which to get the sun and consequently are very hot. Tis time I was on the first floor at the back - views very restricted over the waste ground at the back. One big advantage was it was very quiet and did not get to warm in the 30C+ temperatures. Very clean with a refurbished bathroom. Only thing needing attention is previous water damage to some furniture! As a repeat guest I was provides with complimentary fruit and wine. Meals were above average for buffet meals and the restaurant staff are very friendly and clear tables efficiently so no waiting. Public areas are kept clean and are generally comfortable. Wi-Fi reasonable at â‚¬5 for 10 hours. The big plus at this hotel is the staff many who have been there a long time who provide a very high level of customer service. No doubt I'll be back. Santana hotel very central for the bus station and a wide variety of shops bars and restaurants and only five minutes to the seafront from two directions." "Very pleased with hotel. Staff great food very good and accommodation clean and room very spacious. Overall - excellent!! Would definitely recommend this hotel. Plus the location of it in Bugibba was central for everything. We have never flown Air Malta before and would definitely recommend it. Been to Malta several times but flown with other airlines. We were pleasantly surprised with the meals on board for FREE. - pleased with the whole experience. " "Chevron did all that we require for our holidays and we appreciate having your company to look after us. We like this hotel and have visited on several occasions its traditional and often there are things that are not quite right but the delightful staff alway manage to fix those things and are really lovely and helpful. If you dont let them know its no use making a fuss afterwards if anything should have been mended or replaced because they really try very hard to please. Malta is just a lovely place to have a holiday its got such a huge amount of history and its worth taking the opportunity while there to visit Gozo and Sicily." "Good value for money. Staff very friendly and helpful. Food OK good choice but sometimes cold. Good location. The 7day bus travel ticket at 12 euros pp with unlimited travel excellent value good service." "Still a very good holiday hotel (this is our 3rd year there) although the rooms are a bit dated. Management told us the hotel is being refurbished. Qawra is an excellent place to go not overloaded with tourists but with enough entertainment to keep us happy." "Friendly staff good service - Everything went smoothly"
"WE HAVE BEEN TO THIS HOTEL SEVERAL TIMES AND VERY SATISFIED.NO COMPLAINTS WHATSOEVER. -SO MANY INTERESTING PLACES TO VISITFULL OF HISTORY." "Could not fault the staff and the hotel will definitely go back next year. Recomend - Location of the hotel everything is within easy reach." "Food good Room Very good"
"Food excellent service also very good. Santana is not only ideal location for buses trips etc. but a good hotel. We had a superior room this time to include a kitchenette which was worth it. Chevron come up trumps again. Would not use anyone else!" "Needed to change from a ground floor room which was not acceptable - from then on no problems. Hotel staff excellent." 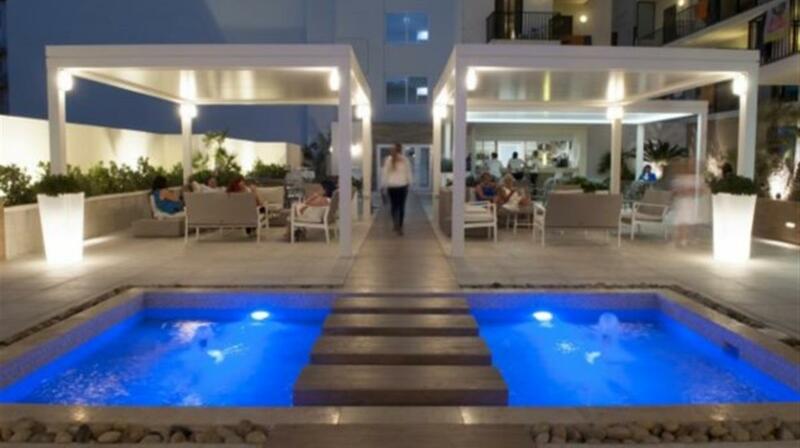 "The Santana is an excellent hotel; comfortable clean and friendly. and their buffet style restaurant is in my opinion outstanding. Their menu is quite extensive (they offered roast duck -) and the food is well presented. It was a pleasure to eat there. I look forward to travelling with Chevron again (I have recommended your company you many people). " "It was an excellent holiday but the local buses put you off going a bit further now I know how sardines feel but it was an experience." "we have been to malta for the last 22 years and have been to several hotels in that timeall very good but the santana is tops for us. Recommend the all round friendliness of the maltese and their constant good humour and helpfulness. A first rate holidaysuperb as always. " "very helpful staff good food"
" live music often way to loud in ground floor bar - volume does not mean quality drives away punters. open top tour bus good value inc harbour tour gozo : bus also good ." "Great staff good food. Get out & about see the friendly Malteese experience the culture." "good hotel for people running on budget as plenty of local shops aroundno kettle in room they cahrge for kettle at 3;50 euro a day ! very pleasent and helpfulcheerful staff food not so good but atleast didnt put a few pounds on!!" "We go to Santana twice a year every year with Chevron it is home from home you are made to feel part of the Santana family we love it . I would just like to thank you Chevron for all you do." "Room very hot needs extractor fan in bathroom. Air con. not low enough. Nice location friendly staff. Tea & coffee should be in bedrooms. Good location & food. Very friendly people and lovely weather"
"We were very fortunate with our room we were allocated in the front of the hotel as some of the 'back' rooms looked smaller.Food was good rather than excellent but we never went hungry!! Facilities were good and the staff very attentive. We had a lovely holiday and cannot get over the value for the price paid. Find it difficult to find any real faults." "Very pleased again with this hotel- so convenient comfortable and with such good food. Very impressed with Air Malta- had forgotten what an in-flight meal looked like!!" "Excellent staff and hospitality. I have been returning year on year and they remember me and look after me which is a great comfort to my family as I am 83 years of age. Travel around the island on the local buses - wonderful experience! The hospitality and friendliness of the maltese people is second to none"
"wonderful hotel have stayed before and am going back again. Food lovely. Service excellent." "Excellent hotel. food excellent but lacks entertainment in the evening "
"Very nice hotel that fulfilled everything we needed to enjoy our visit. We love Malta and have been back there 5 times we have never been disappointed with the services provided nor the Maltese people"
"Lovely hotel very friendly staff always willing to help. It is always a reassuring to book my holiday with Chevron knowing I have got the best deal have done for many years - very competitive prices in comparison to the high street travel agencies"